This question starts it all. Until you ask this question, your life may be weighed down in ways you don’t realize. Once you begin to take action, there will be progress where you decide to look at that “stuff” and make decisions on if it stays or if it goes. Where it’s easy to get tripped up is figuring out what is clutter and what isn’t. When you search online for inspiration in your decluttering journey, you’ll see other people’s versions of what your life could look like. You may see images of perfection, either in almost empty rooms or perfectly labelled organizational bins on every shelf. Does your life need to look like that if you’re committed to decluttering? Those photos are beautiful. Those photos will be what *some* people’s lives look like after removing the clutter. But they aren’t textbook and they may cause you more harm than good. They aren’t what my life looked like after I let go of so much, and I’m perfectly okay with that. You are the only person who can figure out what should stay and what should go in your life. Not me, not any other bloggers or authors. It’s a deeply personal choice and I believe it needs to come from you. This will look different for every person and it will require some clear decision making on your part. 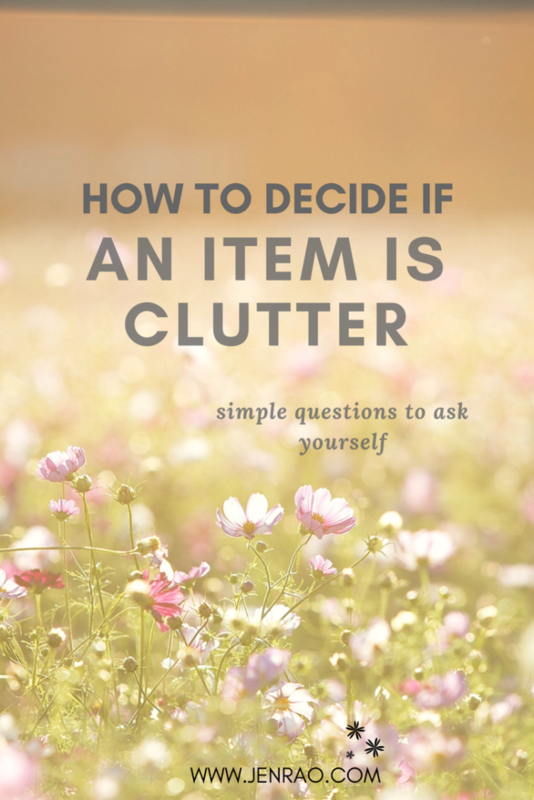 If you start to declutter based on guilt (of having too much) or esthetics (what you think your house should look like) there’s a good chance you will get stuck or worse, get frustrated and give up. I don’t want you to give up. You’re on this path for a reason. You’re meant to let go of what doesn’t serve you anymore. There’s no magic number of items to keep or let go of. You need to keep what serves you in your life and let go of the rest. I’ll give you some question prompts to figure out if something serves you or not at the end of this post. Marie Kondo was onto something with her “spark joy” theory, and that’s why it struck such a chord in the world. If you haven’t read her book “The Life Changing Magic of Tidying Up”, I really recommend you do. Her system has worked for millions and although I didn’t follow it perfectly, it was a huge game changer in my journey. In the book she explains that you must pick up every single item you own, in a specific order based on categories around your home and feel if it sparks joy or not. Joy? Keep it. Any other feeling? It goes. Some people struggle with how a lifeless item like a wooden spoon could spark joy or not, which is why even in all of its popularity, her method is not for everyone. I’ve adapted this practice to be a bit less intimidating but still very applicable. Only keep the items that add to your life and serve a purpose. Don’t keep anything because you think you should, or because you spent money on it, or because you feel guilty because someone else gave it to you. You have a short time on this earth, why surround yourself with anything other that what serves you? Do you love to knit and do so regularly? Keep the supplies, that isn’t clutter. Did you try to learn how to knit and now you feel guilty about giving up or the money you spent on the supplies? Dig deep and ask yourself if you actually will pick up those needles and knit. If you hear a meek “no” for an answer, it’s clutter. A clean, cleared and decluttered life looks different for everyone. What’s important is that what you keep adds to your life, rather than subtracts from it. 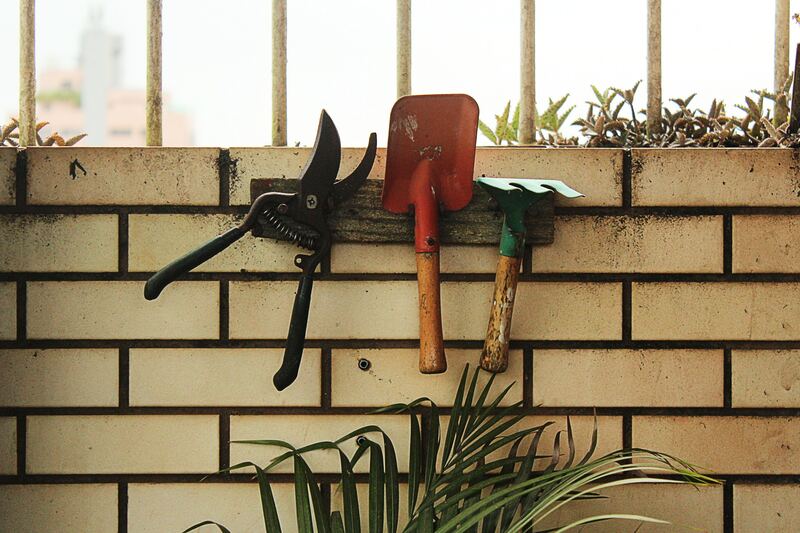 Someone who loves to garden should absolutely have a set of tools that allows her to take the best care of her beloved plants. Where it becomes clutter is if she collects every new gadget that comes out and rarely uses them. It becomes clutter when the woman who loves to garden hates to walk into her shed because it’s always a mess and she can’t grab a rake without knocking over three other tools in the way. If you love to cook, don’t kid yourself that your kitchen needs look like an unlived in model home in order to “succeed” at decluttering. If you have just what you need in your kitchen, imagine when you reach for something you don’t knock something else over in the process. Imagine cooking and when you open any cupboard or drawer and you only see what you need to make a great meal. This is what a clutter free kitchen looks like. Decluttering is about removing what doesn’t need to be there anymore. It means giving yourself more space to pursue what you love and to attract what you really want in life. 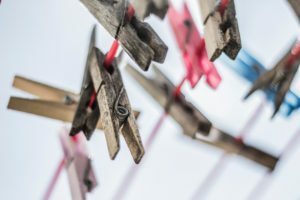 To help you sharpen your skills at determining what’s clutter and what isn’t, and what you will keep and what you can finally let go of, I’ve come up with some simple questions for you. As you progress, these questions will become second nature to you. 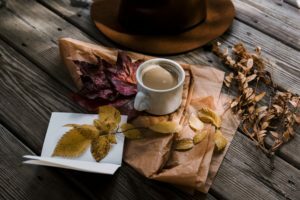 The path to an uncluttered life that makes you feel great is paved with simple questions and habits that build over time. This is not an overnight change but armed with these questions you can start to determine for yourself what you will keep and what you will remove. 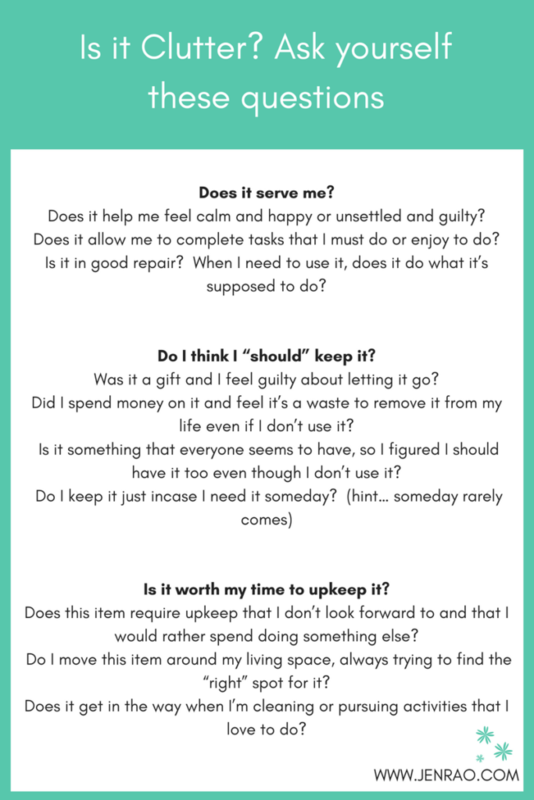 Is there an item you’re on the fence about keeping or removing in your life even after answering these questions for yourself? Let me know, I’d love to help! I have a scrapbook kit…that I can’t decide what to do with. When I started, I had years in front of me to work on photo albums with memories. But then before I knew it, physical photos seem to be a thing of the past, technology has changed the way we take photos even, they are now digital. Add to that same topic area, I have camera’s that are not being used, due to the change in technology, do I keep them or part with them and to who or where? With the scrapbook things, now mostly, why am I making photo albums? Who is going to want them when I die? I have step children only, who don’t even want us in their lives. I have grandchildren and great grandchildren, I have never and will never meet. My traditions from my childhood and life will be passed on to no one, so why finish the photo albums?